On 24 July, 1985 Detective Constable Tier was the driver, and single occupant, of an unmarked police vehicle engaged in the pursuit of an unknown vehicle on the Princes Highway, Unanderra. During the pursuit the police vehicle left the roadway and collided with a telegraph pole. The constable was born in 1960 and joined the New South Wales Police Force on 15 January, 1979. At the time of his death he was stationed at Dapto. 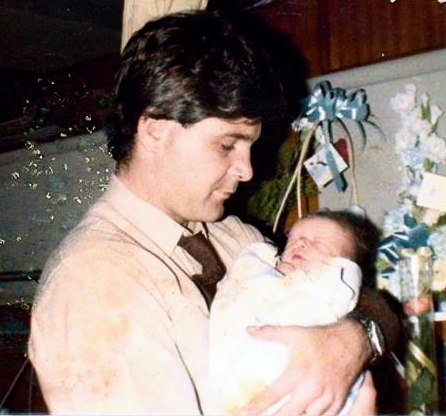 Stephen Tier holding his son, Joshua Tier. 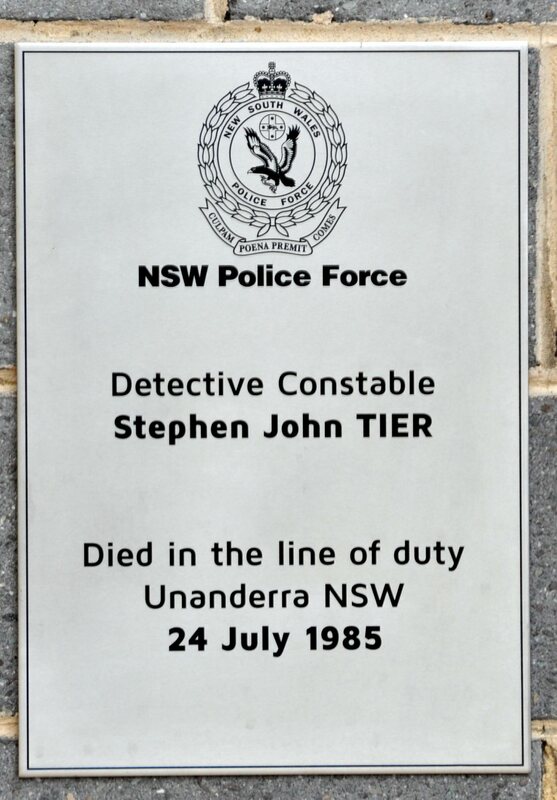 Det Cst Stephen John Tier – 20 April 1983 playing Police Football for Wollongong. 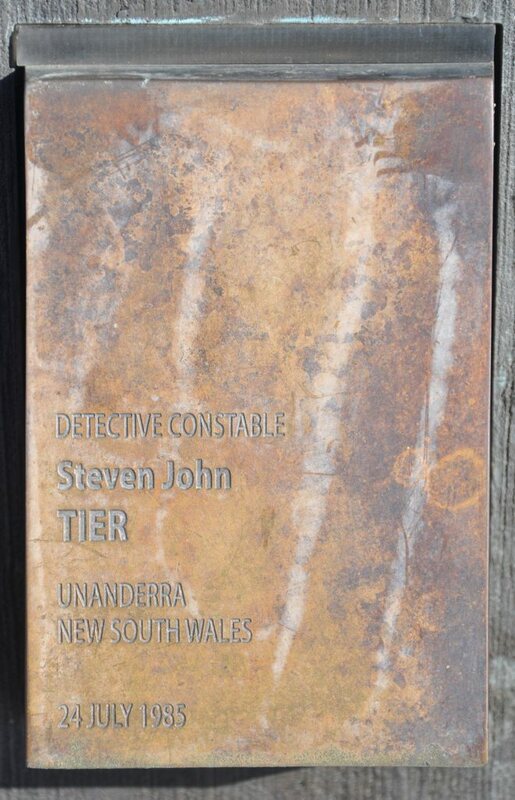 Stephen TIER – Touch pad at the National Police Wall of Remembrance, Canberra. 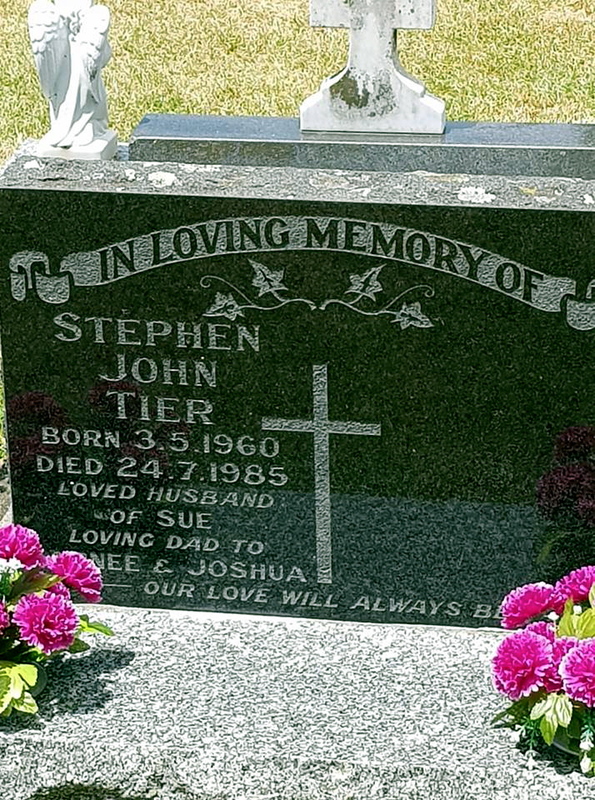 29 Sep 2014, 3 p.m.
Family members lay a wreath for Det Const Stephen John Tier. Picture: ANDY ZAKELI Lake Illawarra Commander Acting Superintendent Andrew Koutsoufis to the left. Almost 60 years on, Kenneth Nash still misses his uncle Allen. Sergeant Allen William Nash, aged 40, was killed in the line of duty by a gun-wielding offender at Primbee in 1956. 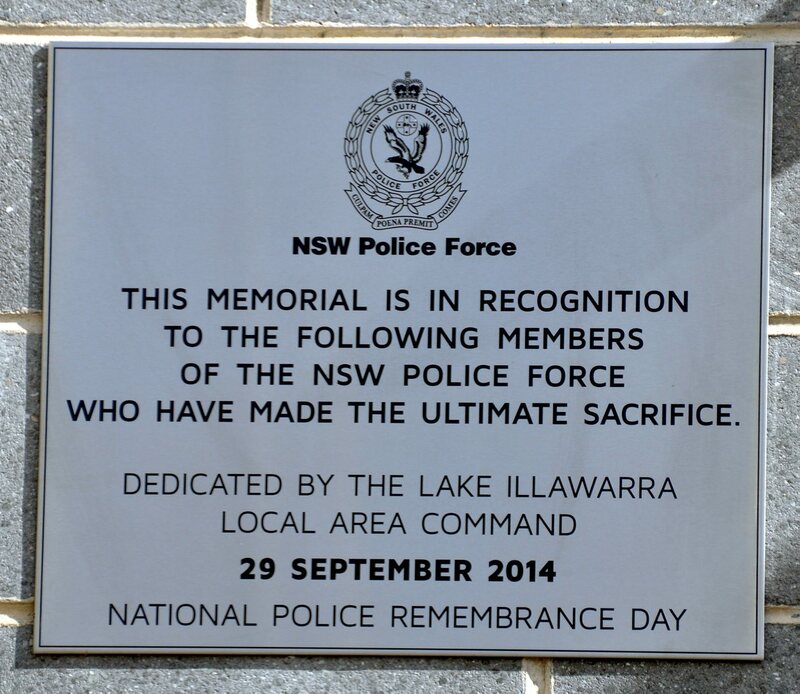 Sgt Nash was one of eight officers stationed in the Lake Illawarra local area command who were recognised with memorial plaques on a wall of honour outside Lake Illawarra police station on Monday, as part of Police Remembrance Day commemorations. Dozens of current and retired officers, families, friends, politicians, councillors and members of the public gathered at Oak Flats for a ceremony to unveil the memorial wall, and honour past and present officers. 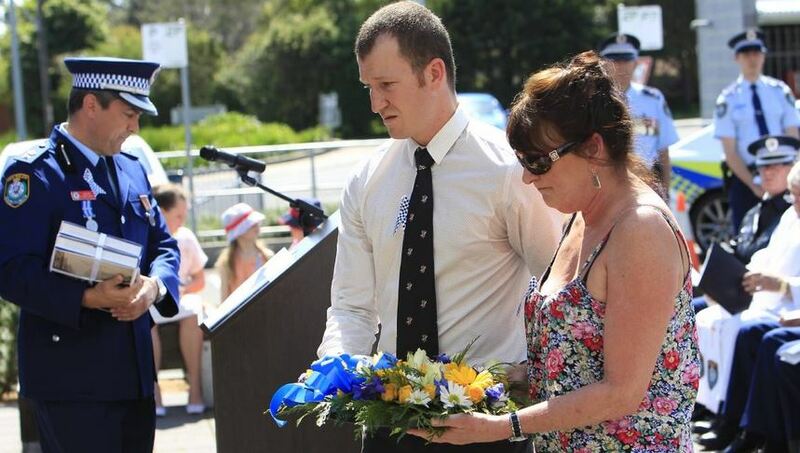 Since 1862, more than 250 NSW Police officers have died in the line of duty.